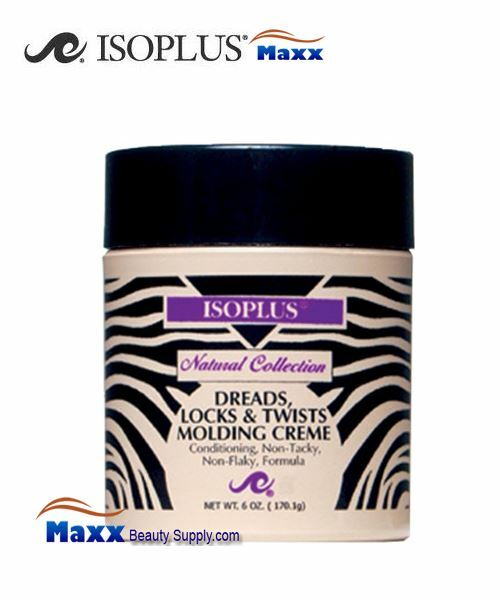 Isoplus Dreads, locks & Twists Molding Creme delivers the desired grip control needed for locking or twisting hair. Ultra-rich conditioners penetrates and nourishes the hair shaft lending brilliant sheen and maximum strength of strands. DEIONIZED WATER, OLYSORBATE 20, OLEATH-5, PETROLATUM, LANOLIN, MINERIAL OIL, BEESWAX, PVP, PROPYLENE GLYCOL, DULSE, HORSETAIL, SAGE, ROSEMARY, HYSSOP, PPG-5-CETETH-20, FRAGRANCE.